People may be buying The Goldfinch and The Hunger Games in droves, but how many actually finish these books? How far do readers get? According to mathematician Jordan Ellenberg, his Hawking Index will let you know! Every book's Kindle page lists the five passages most highlighted by readers. If every reader is getting to the end, those highlights could be scattered throughout the length of the book. If nobody has made it past the introduction, the popular highlights will be clustered at the beginning. That last line is the best part. The standard bearer is Stephen Hawking's A Brief History of Time, which is known as the most unread bestseller, and which lends its name to this Ellenberg's "unscientific" yet illuminating system. So using the highlights method, where do current bestsellers fall on this index? 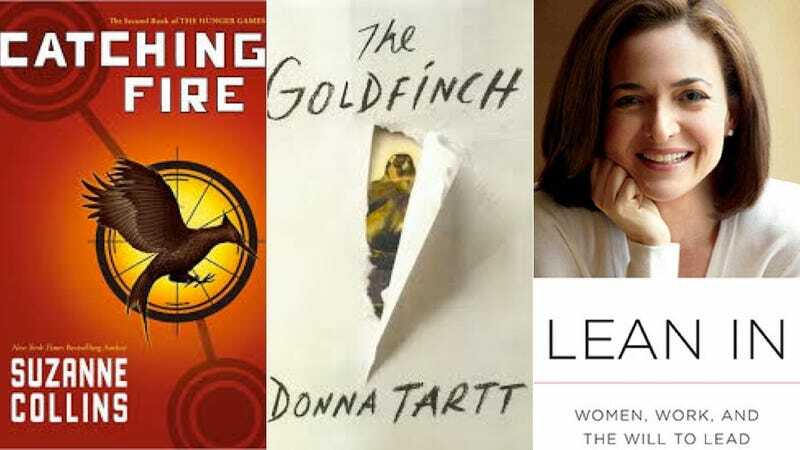 The Wall Street Journal determined that people get through 98.5% of Donna Tartt's Pulitzer Prize winner (how literary of them), people get through on average almost half of Catching Fire, mainly because of the romance near the end, and hilariously, people lean into (sorry) only 12.3% of Lean In.